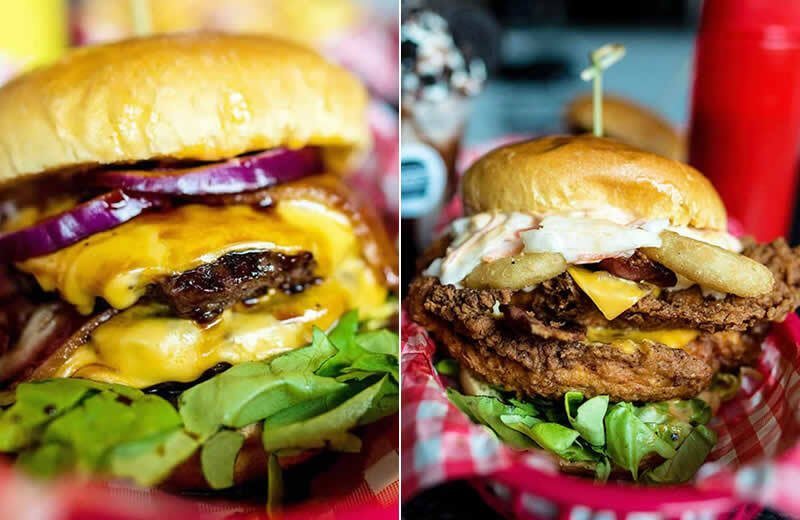 We’ve scoured the streets of Manchester to track down the best burger joints in town. 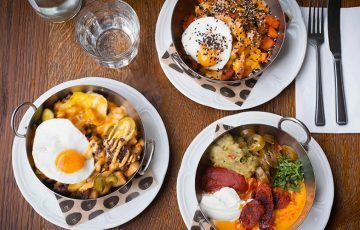 The city has fully embraced the dude food trend in recent years, so you’re never far from a messy, meaty masterpiece! 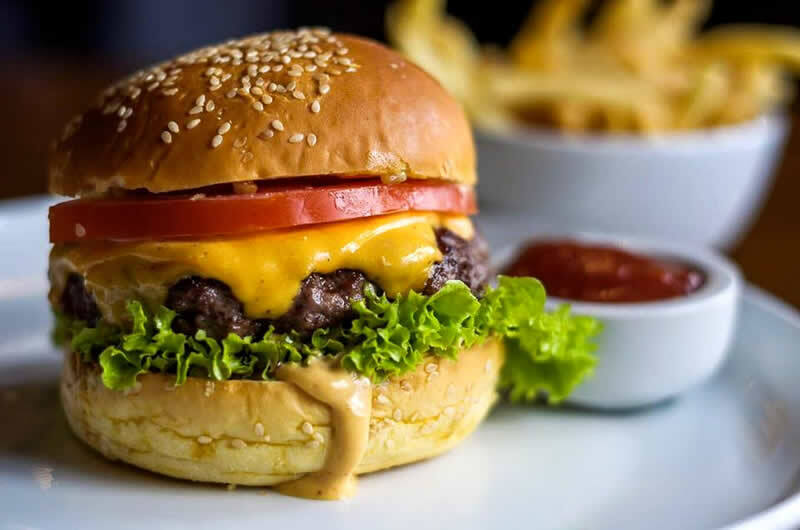 There’s a burger for every occasion at Solita, from the classic cheeseburger to the towering Big Manc. There’s even a Sunday lunch burger, which comes with roast beef, all the trimmings, and gravy for dipping. Take your greediest mates and kick things off with beers, wings, and cheeseburger spring rolls. 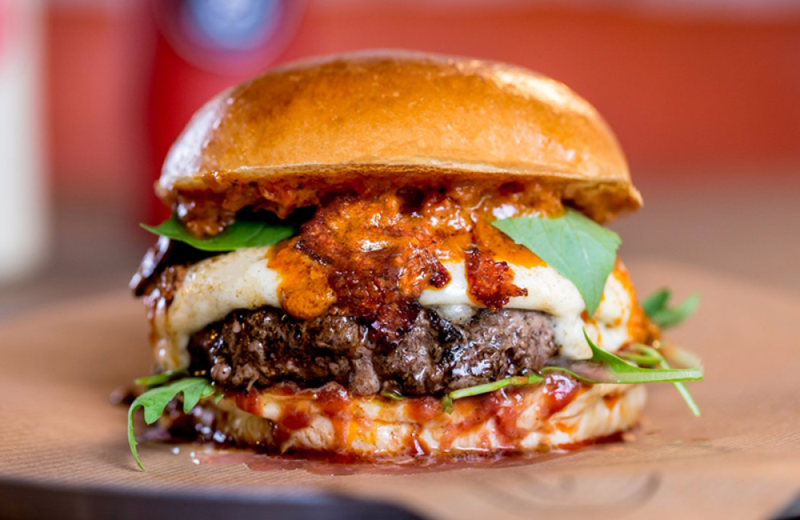 Fancy trying some of the UK’s best burgers with a cheeky 20% off? 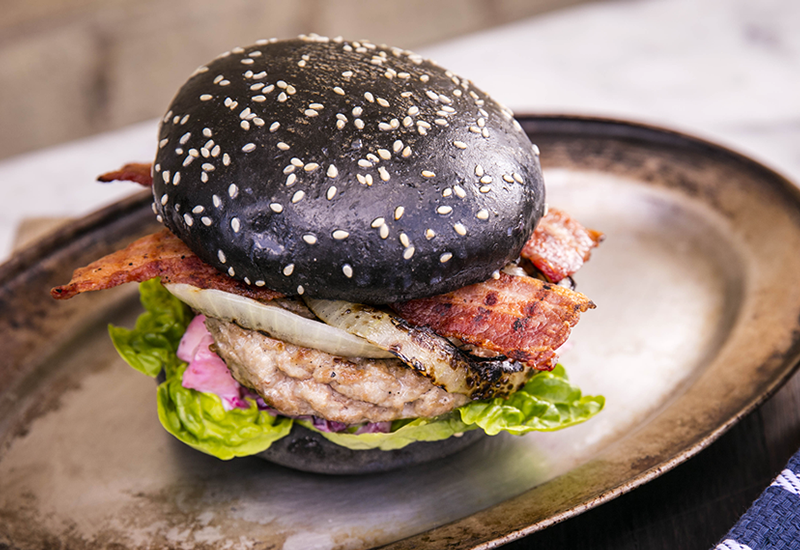 Mr Hyde’s National Burger Day returns next Thursday (24th August) and this year over 750 venues are offering the exclusive discount. To get involved, simply visit the website, choose the burger joint you want to try, and sign up for the voucher. 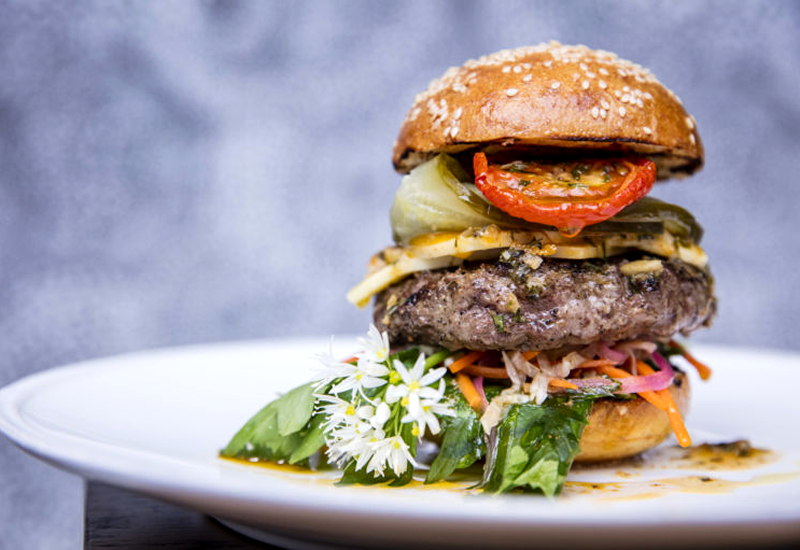 National Burger Day also gives chefs a chance to show off their signature burgers or create Insta-worthy specials. 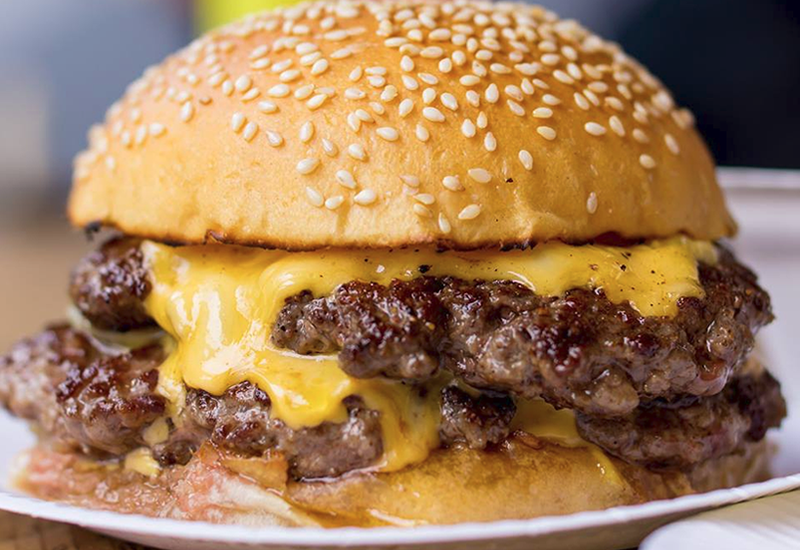 We’ve rounded up ten of the best burgers to try in London on National Burger Day, from Dirty Bones’ iconic Mac Daddy to the limited edition Cheese Louise at The Blues Kitchen. P&B burger patty, two types of Cobble Lane Cured pepperoni, ‘nduja, fior di latte mozzarella, Yard Sale’s signature tomato sauce, basil and rocket. Double beef, double cheese, onions and their signature sauce. A classic. Wild boar patty topped with dry-cured streaky bacon, coleslaw, and pineapple and chilli piccalilli, in a charcoal bun. (Also available at Butlers Wharf Chop House and Paternoster Chop House). 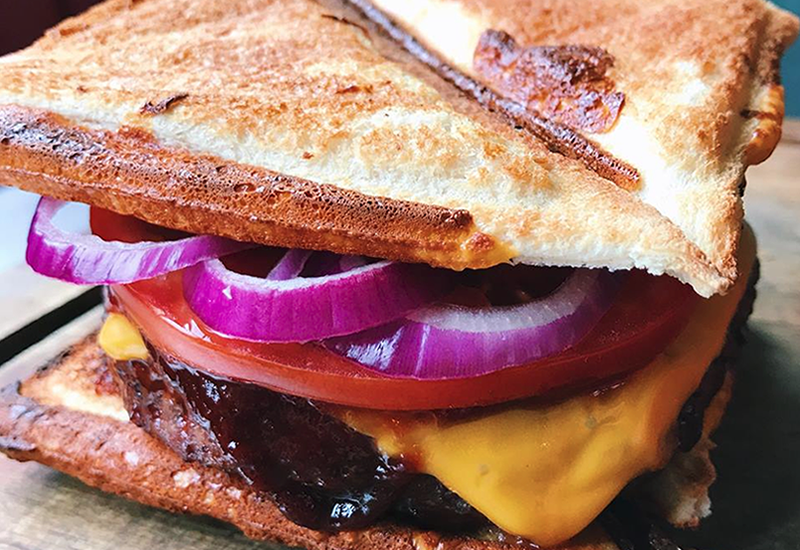 7oz patty, house barbecue sauce, cheese, red onions and tomatoes, sandwiched between two cheese toasties. (Also available at Camden and Brixton). 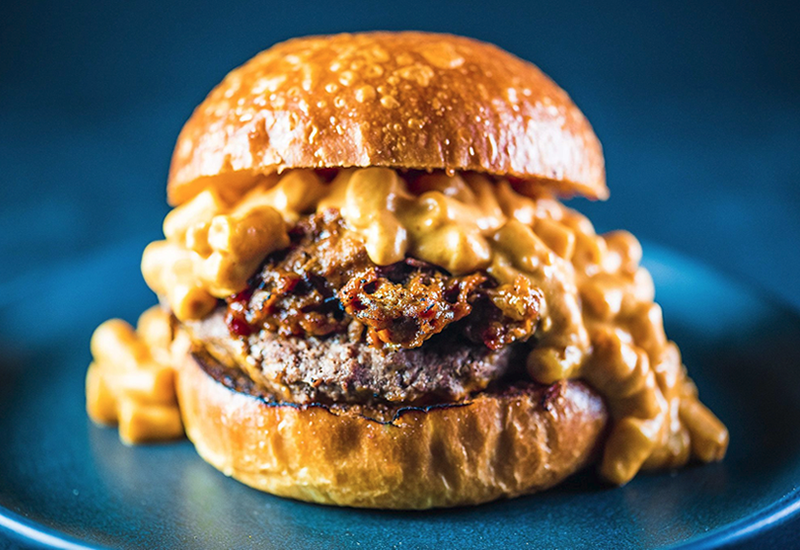 Brisket & dry aged steak burger topped with pulled beef short rib, mac & cheese, and cayenne & coffee-spiked BBQ sauce. (Also available at Soho and Shoreditch). 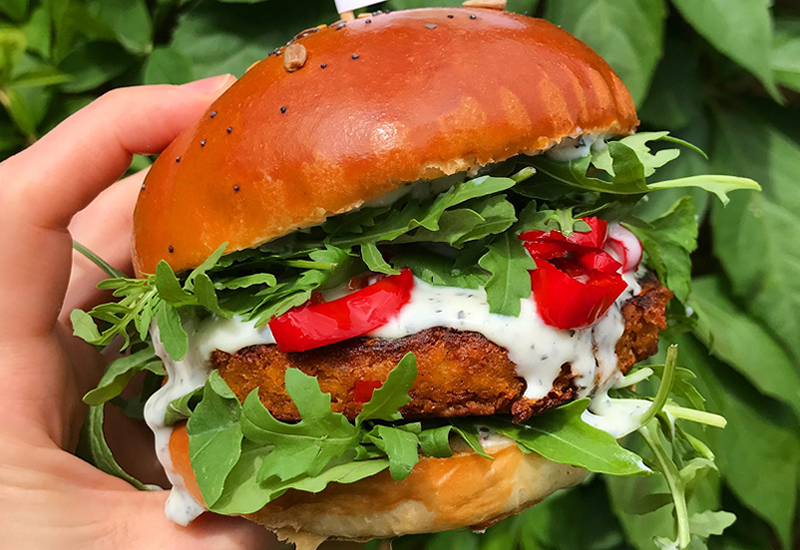 Vegan tikka masala patty topped with candied chilli and mint yoghurt sauce – a collaboration with Andrew Dargue, chef-patron of Vanilla Black. Venison haunch, cold smoked reindeer, toasted juniper berries, and thyme. Beef patty, chorizo, piquillo peppers, tomatoes, pepper mayo, and Monterey Jack cheese. 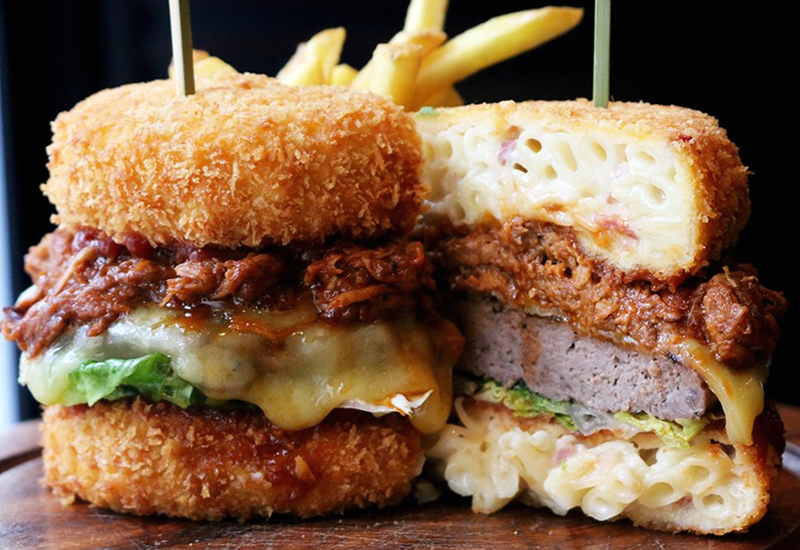 Mac & cheese bun, beef pâté, BBQ pulled pork, lettuce, tomato and red onion. Cuttlefish and crayfish patty with Thai seasoning and Asian slaw. 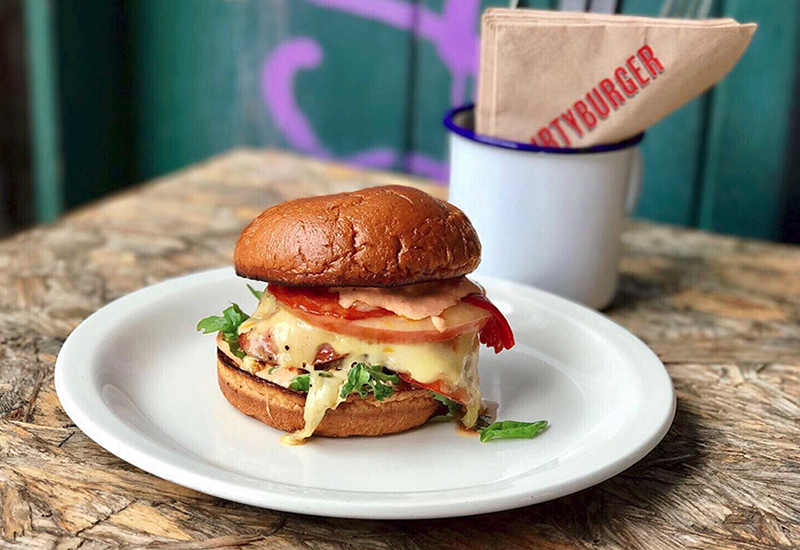 There’s still time to get tickets for Street Feast’s National Burger Day bash – eight hours of burgers, beats and booze at Hawker House. 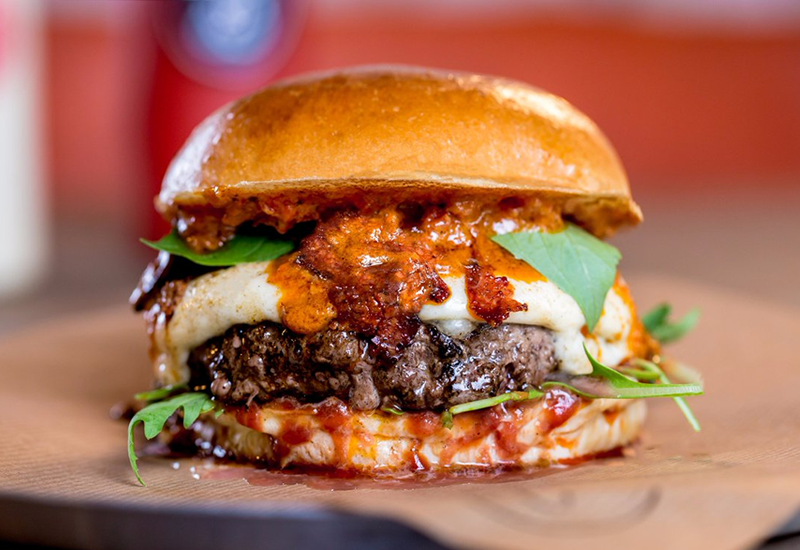 This year’s line-up includes home-grown talent like Burger & Beyond, Lucky Chip, and HotBox, as well as burger superstars from Stockholm, Berlin and the USA. Tickets are £15 and that includes two cans of Frontier craft lager and a Pickleback shot. Book now! Enter our competition to win four tickets to Meatopia! It’s National Burger Day! 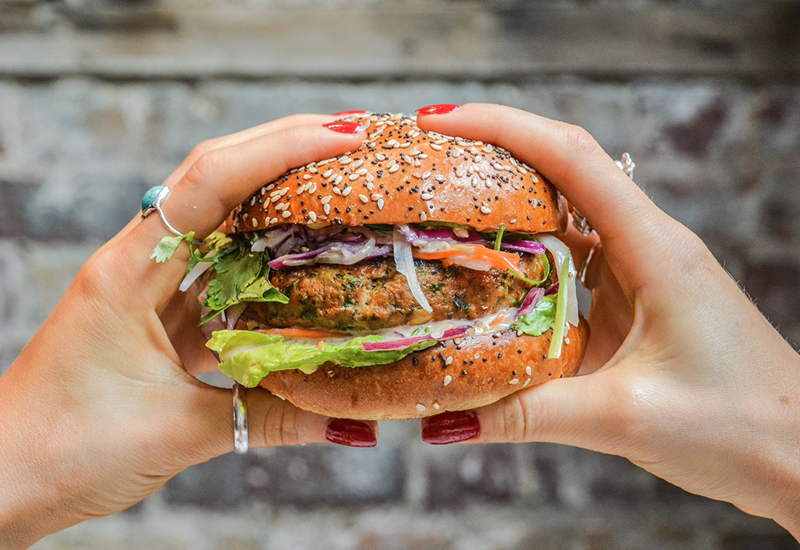 For one day only, you can get 20% off some of the UK’s best burgers at over 900 restaurants around the country. All you have to do is sign up. 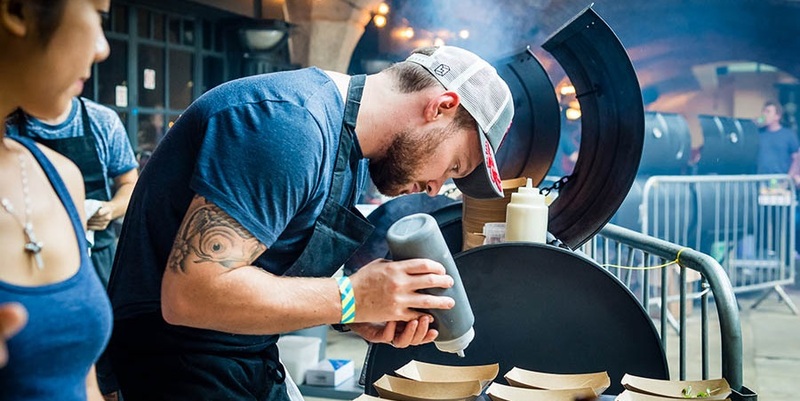 To celebrate, we’re giving away four Sunday tickets (worth over £120) for Meatopia – a festival of meat, drink, fire and music at London’s Tobacco Dock. 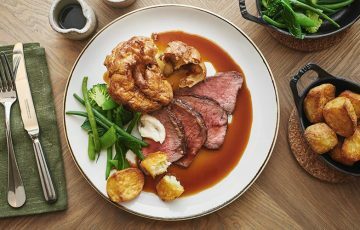 Spend the afternoon checking out the bands, tasting craft beer, and trying incredible dishes cooked by top chefs from Hawksmoor, Blacklock, The Quality Chop House and more. To enter, share a photo of the best burger you’ve ever eaten with @OpenTableUK on Instagram or Twitter using the hashtag #MyBestBurger. 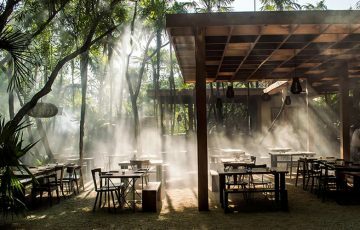 It can be from a restaurant you love, a street food truck, or something you’ve cooked yourself. It doesn’t even have to be beef – show us your fried chicken burgers, shrimp patties, and veggie options! You can submit one entry per social network each day until midnight on Monday 29th August. Be sure to read the terms and conditions. Winners will be announced on Tuesday 30th August – good luck!